Here is Skiffleboom Productions‘ entry into the 48 Hour Film Project, Boston 2012. The 48 Hour Film Project is a wild and sleepless weekend in which teams make a movie—write, shoot, edit and score it—in just 48 hours. We started Friday, 7pm on May 18, 2012, and finished Sunday at 7pm, May 20th. The competition is screened at the Kendall Cinema in Cambridge and the films are judged by both panel and audience. Winners progress to regionals. It was some of the most fun I’ve ever had. I’ll be making movies for the rest of my life. Line – You’re making a big mistake. 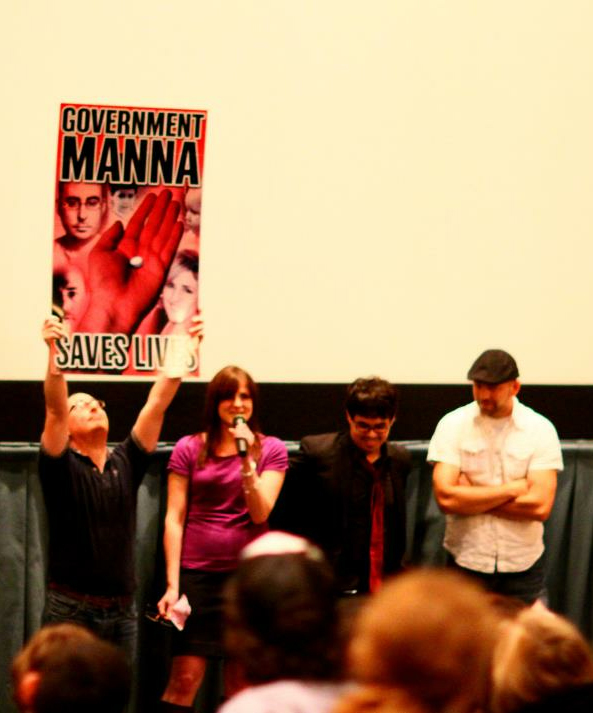 Q & A: Manna Premiere at Kendall Theater, Cambridge MA, Skiffleboom. Left to right: Michael McVey (director, writer, editor), Kristen Hamill (writer, editor), Robby Candido (composer), and Seth Wood (cinematographer). Photo by Stefan Malner. 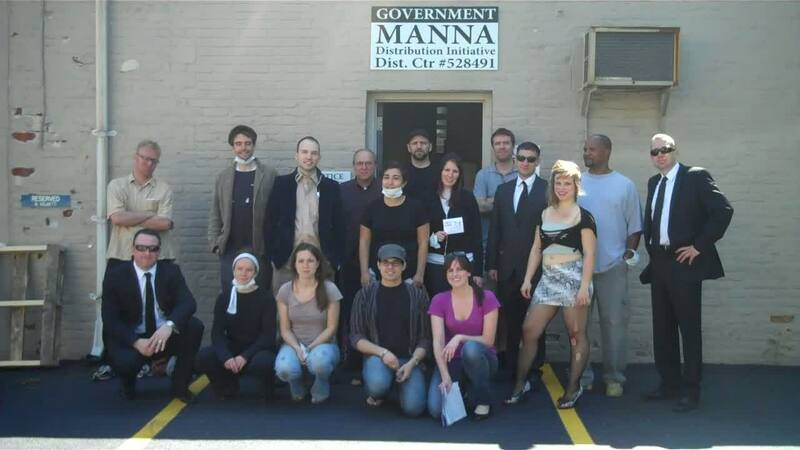 Cast and Crew photo – Skiffleboom Productions. 48 Hour Film Project Boston 2012. 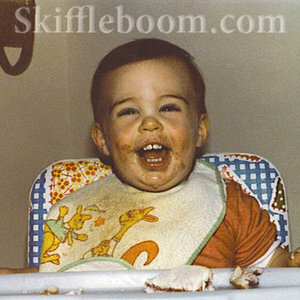 This entry was posted on May 25, 2012 by Michael McVey, Skiffleboom. It was filed under 48 Hour Film Project, Uncategorized, Video and was tagged with 2012 Boston 48 Hour film, 48 hour film Boston, 48 Hour film festival, 48 Hour Film Project, 48 Hour film project Boston, 48 Hour Film Project Boston 2012, Elise Manning, Kellen Sutherland, Kristen Hamill, Manna, Michael McVey, neal cutler, Robby Candido, Seth Wood, short film, Signarama Cambridge, skiffleboom, Skiffleboom Productions.